Theater director Lin Zhaohua met Shu Yi, the son of novelist and playwright Lao She (1899-1966), after Lin premiered his play Hamlet, adapted from William Shakespeare’s work, in October 2008. Meddling directors, confused actors, and pushy politicians are leaving the country’s budding playwrights exasperated. China’s theater industry is experiencing a worrisome boom. Though more and more plays are being produced, and audience numbers are increasing every year, the market is flooded with foreign productions, commercial adaptations, and classic Chinese plays. 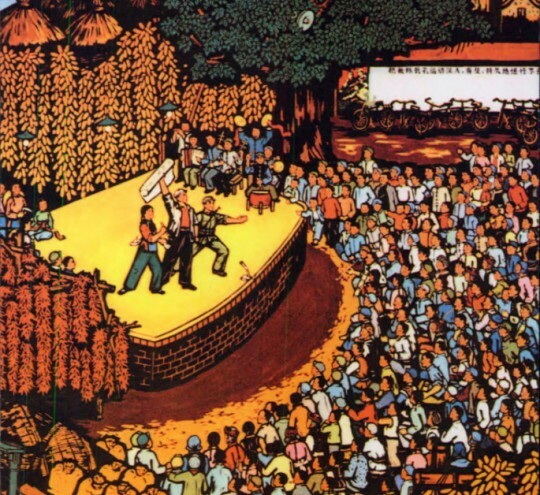 Experimental theaters — known simply as “small theaters” in Mandarin — are in decline, despite their strong track record of producing original stories that reflect modern China. Saturday 9 September, Senate House Lecture Theatre (SALT), 9am – 5pm. 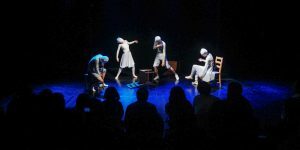 This symposium will explore aspects of theatre production in Hong Kong in the post-1997 period from a transnational perspective, including intercultural and cross-genre collaborations with other Sinophone and Asian performance cultures from Singapore, Taiwan, China, and Japan, Cantonese opera in the diaspora, experimental and political performance, and intersections between indigenous and foreign theatrical forms. Unlike China’s film industry, which is constantly in the limelight, Chinese theatre enjoys the benefits of the shadows, so to speak. Without the tight scrutiny of the public or the censors, it has mushroomed into an art form with an almost unimaginable range of diverse works. On the other hand, most of these have failed to find even a limited audience, let alone commercial viability. I hope this will be of some use for your teaching, research and practical work in the theatre. 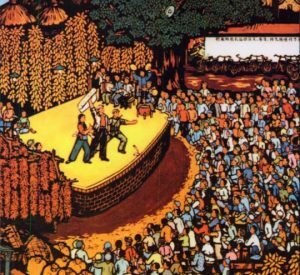 The project is supported by the AHRC grant for the Leeds-based international research network ‘Staging China’ and the ‘Language and Culture for the New Generation of Leading Researchers in East Asian Studies: Partnerships, Networks and Training’. The Association for Asian Performance (AAP) invites submissions for its 17th annual conference. The AAP conference is a two-day event, to be held at the Planet Hollywood Resort & Casino in Las Vegas, NV preceding the annual ATHE (Association for Theatre in Higher Education) conference. Proposals are invited for papers, panels, workshops and roundtable discussions. Learn more about the AAP at http://www.yavanika.org/aaponline/. Black comedy Du Zichun will return to the stage at the Gulou West Theater in Beijing from December 29. 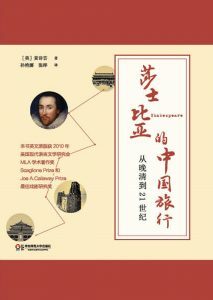 Debuting in September of 2012 at the Beijing Fringe Festival, the play was a huge success. 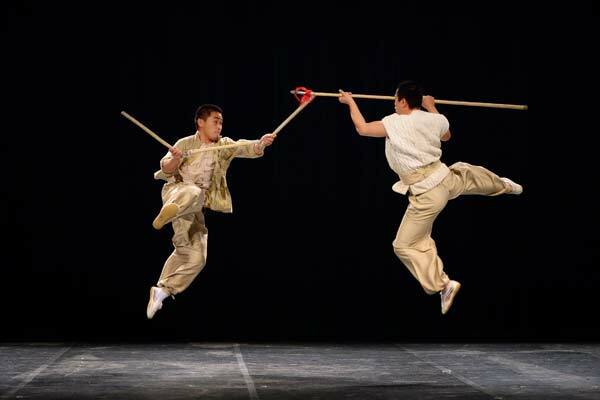 The play is based on a short fantasy story written during the Tang Dynasty (618-907) that focuses on the character of Du Zichun. WUZHEN, China — On a drizzly afternoon, Liu Hongfei plopped into an empty baby stroller in Wuzhen, a picturesque town in eastern China. He was wearing dark clothes and red sneakers, his face painted white, a kazoo perched in his mouth. 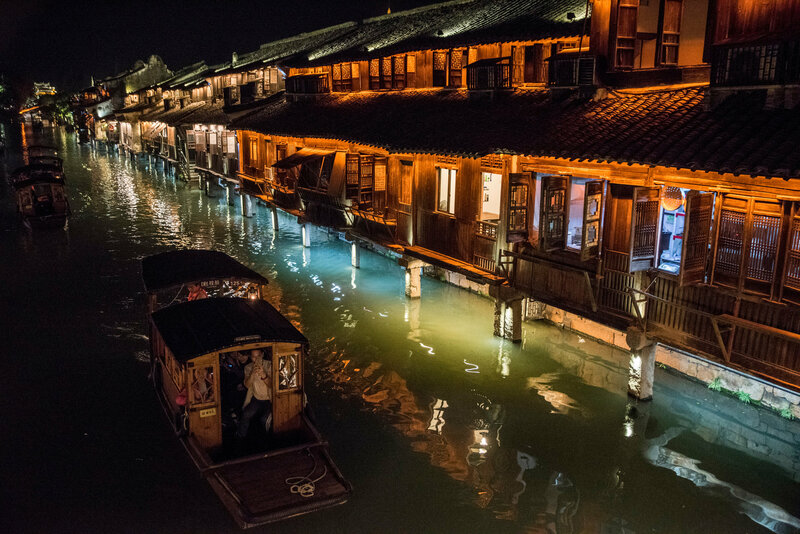 If “China speed” has become a synonym for ground-breaking and tremendous economic growth of the country since its reform and opening-up, then “Wuzhen speed” is very likely to become an epitome of the city’s ambitious changes in the field of culture and art in the future.